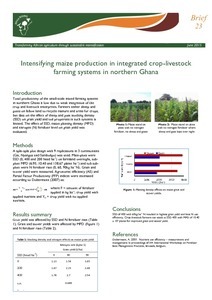 Total productivity of the small-scale mixed farming systems in northern Ghana is low due to weak integration of the crop and livestock enterprises. 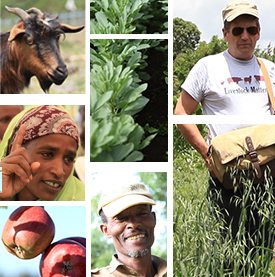 Farmers tether sheep and goats on fallow land to recycle manure and urine for crops, but data on the effect of sheep and goat stocking density (SSD) on grain yield and soil properties in such systems is limited. A recent Africa RISING research brief explains the effect of SSD, maize planting density (MPD) and nitrogen (N) fertilizer level on grain yield was evaluated. Tags: africa rising, Ghana, Intensification, sustainable intensification. Bookmark the permalink.